Whilst the best players in the world spend time preparing for the year's second major, the staff at Pinehurst continue their work. Work that has been going on for a number of years. When the USGA announced in 2009 that both the 2014 US Open and US Women's Open would be played at Pinehurst No. 2, in back-to-back weeks, Bob Farren and his team at the famed Donald Ross designed course immediately went to work. Farren has been at the heart of the all changes in his role as Director of Grounds and Golf Course Maintenance at Pinehurst. Under the guidance and expertise of Ben Crenshaw and Bill Coore, he and his staff have been busy making changes to the course to return the character and look of the course as it was originally designed by Ross, in 1907. 1. If you have to sum up Pinehurst No. 2 in three words, what words would you use? "Strategic. Original. Natural." Or perhaps "Fair but demanding". 2. 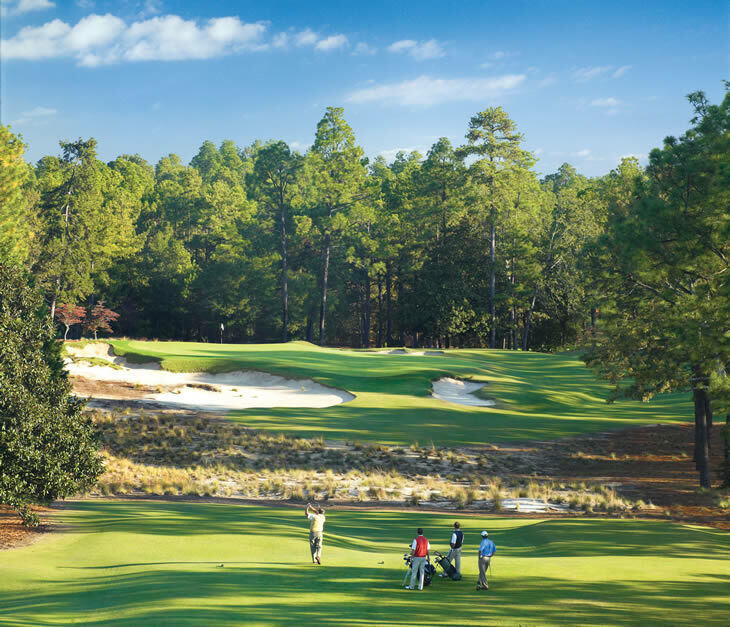 What is it about Pinehurst that makes it such a special place to amateur and professional golfers? 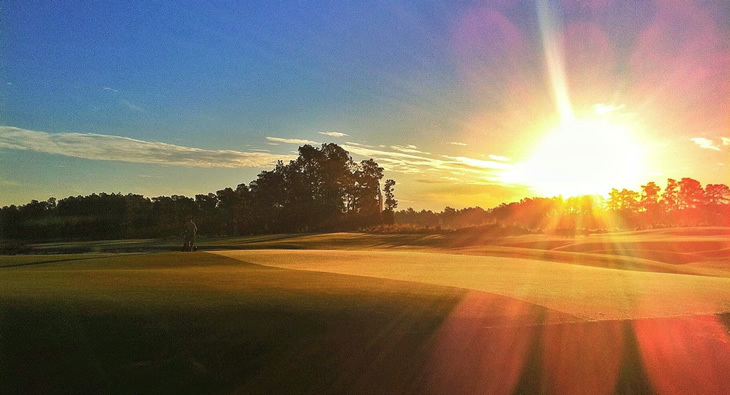 If you love golf, regardless of your ability, Pinehurst is the quintessential destination. Steeped in the history of the game. Home to more championships than any other place in America (and unforgettable ones at that). 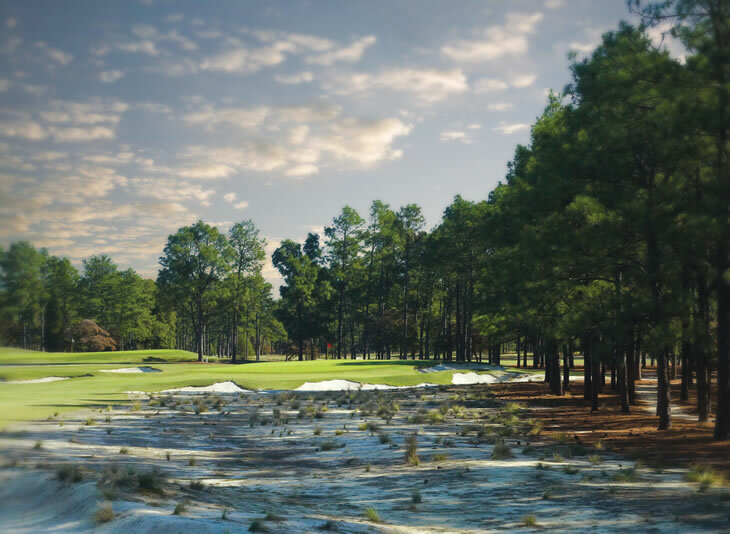 Pinehurst creates an atmosphere that seems separated from the outside world, one in which you can indulge your passion for the game. Bobby Jones called it the St. Andrews of American golf, and we tend to agree. 3. Tiger Woods famously described Pinehurst No. 2 as "fun golf", what do you think he meant by that? The best of golf is about exploring your creativity, not having a precise path dictated to you. Pinehurst No. 2 is all about options, for there is no single answer. Whether you're standing on the tee or getting up-and-down from around the greens, there are so many ways to play every hole, every shot. What is fun is the blank canvas that No. 2 provides, and why it's a fair test for golfers of all abilities. 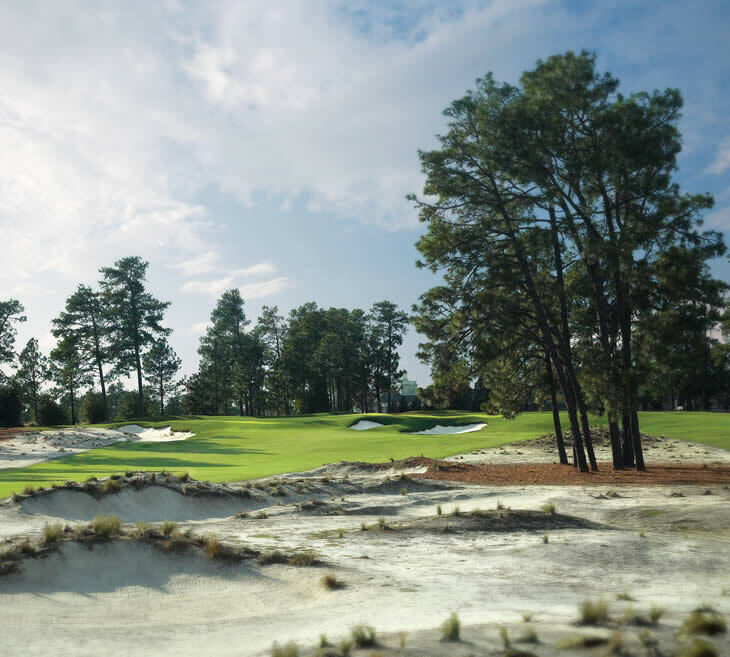 What's really exciting about the upcoming Opens is that you're going to see some of the best shots in the world faced with challenges, and playing shots, that they may never have in a U.S. Open. 4. How long have you been preparing No. 2 for each US Open? In many ways, since we were awarded the Men's Open in 2007 and Women's Open in 2009. 5. How challenging is it to prepare the course, and venue, for hosting back-to-back major championships? Frankly, the advance preparation isn't significantly different for two weeks or one week. We are simply focused on reserving our energy and emotions and being mentally prepared to stay on good pace for the Women's Open in the second week. 6. A lot has been made about the lack of rough in the new layout. Can you explain why the decision was made to remove any/all rough? It wasn't a decision to remove the rough, so much as a decision to return to the character and playing conditions that Donald Ross envisioned. From the time it opened in 1907 through Ross' death in 1948, No. 2 never had grassy rough. 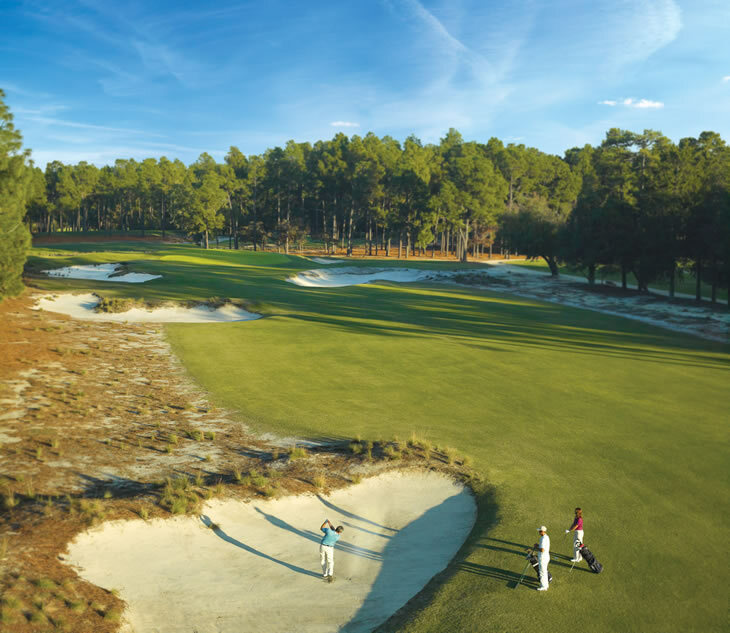 It always was designed to stay true to the natural elements of the Sandhills, including sandy areas off the fairways filled with natural grasses and vegetation. 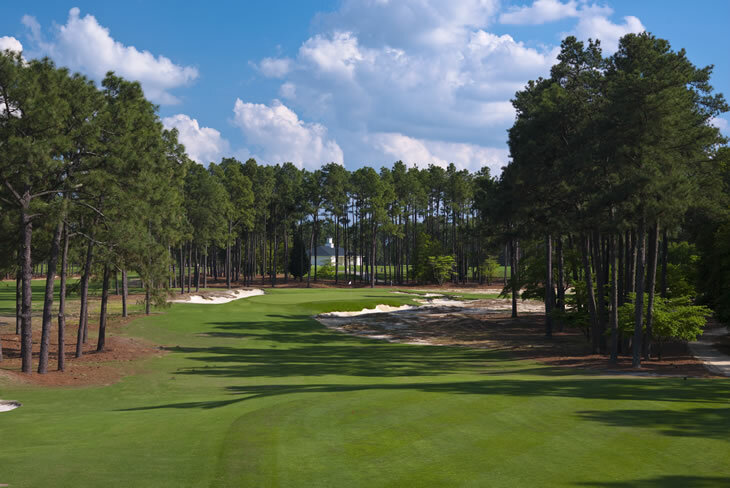 Ben Crenshaw likes to talk about something that Charles Price wrote a long time ago - that fairways were meant to be an oasis encased in sand, pine straw, pine needles and wire grass. That's what No. 2 was and what it has become again. 7. How much of the influence and renovation work was to make the course more environmentally friendly? 8. How many people have been involved in the renovations of the course? The Coore/Crenshaw team of associates accounted for 10-12 people at various times during the project itself. We have a full time staff of 15-20 that manage the course on a daily basis. 9. What is the process/hierarchy involved in making renovation decisions? The restoration was a Pinehurst driven project. It was always about returning No. 2 to the look, feel and playability that made it unique from every other course in America. 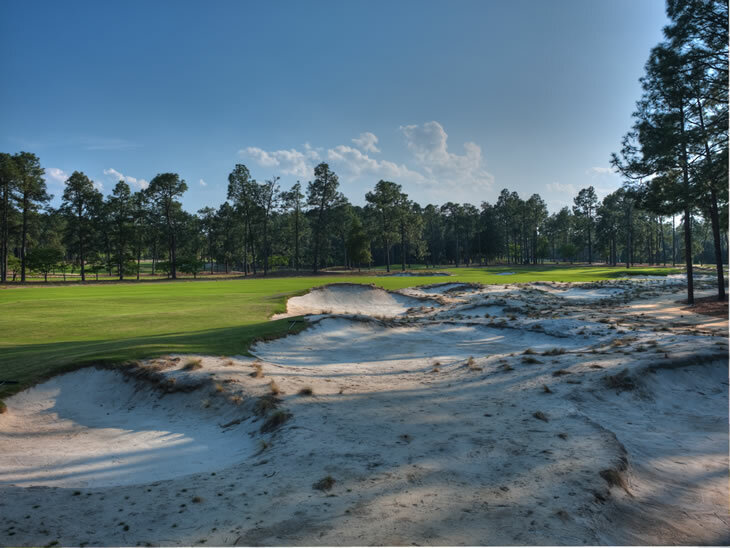 As part of that Pinehurst felt that Bill Coore and Ben Crenshaw, with their minimalist approach, were the right architects for the job. All of that said, we did consult with the USGA during the process. As we made changes, we wanted to ensure that anything that might affect a USGA event here could be addressed and implemented during the process so that everything would flow properly. 10. How challenging is to prepare the course for the best players in the world, whilst still keeping it playable for paying visiting golfers? The course is essentially the same for our Members and visiting guests as it is for the Championships themselves with the obvious exception of the green speeds and firmness. This is in itself a very unique result of the restoration efforts. 11. The greens at No. 2 are world renown, how much have they been altered/tweaked during preparations? Well, 16 of the greens have remained exactly the same. On two of the greens, we've reintroduced areas for additional hole locations that had been lost over time due to impact of sand from greenside bunkers. One of these is on the right side of the 15th hole. The other is on the front right of the 17th hole. 12. Obviously all major championship courses are lengthened, can you tell us where the greatest additions have been made? The biggest change is the switching of pars on the fourth and fifth holes. The fourth is going from a 565-pard par-5 to a 529-yard par-4, and the fifth is going from a 472-yard par-4 to a 576-yard par-5. Additionally, the second has been lengthened by 38 yards, the third by 51 yards (although it remains relatively short at 387 yards), the 12th by 35 yards and the 16th by 36 yards. 13. How long will the course play for the men in June? The course will play to a maximum of 7,562 yards, par 70, for the men. But as USGA executive director Mike Davis has said, he won't play that whole length at any given time. 14. And what about for the women? The U.S. Women's Open will play to maximum length of 6,649 yards and the par will remain at 70. 15. What do you think Donald Ross would say about the current No. 2 layout? We hope that he would be pleased with the course - 66 years, or a lifetime, after his death. Early on in the restoration, Pinehurst member Craig Disher provided us with flyover photos that were taken on Christmas Day in 1943. Bill and Ben used these as a basis for the project. While they clearly took modern equipment into the equation, the course today looks remarkably like the course that Ross was still tinkering with in 1943. 16. Which hole do you expect to play the toughest over the course of the US Opens? The second hole is always difficult. A new back tee has lengthened it to 507 yards. The angle should make it a challenge to keep tee shots from bounding into the sandy areas. And the green remains one of the most challenging on the course. 17. We hear that the fairways and greens will be running hard and fast. Any idea what speed the greens will be running in June? The USGA has said that the greens will run at 11.5 for the men and the women. They plan to have the greens a little bit less firm during the week of the Women's Open. 18. What type of player do you see doing well at Pinehurst No. 2? Someone with a great short game. The primary test of No. 2 remains the green complexes. Landing areas on its crowned greens are small, meaning that players, at times, are going to miss greens, or leave themselves in the wrong quadrants. Michael Campbell and Payne Stewart both hit fewer than 60% of greens in regulation during their wins. The short game wizards should fare well. Of course, it won't hurt to hit the ball a long way, to the point where you can approach these small landing areas with shorter irons. The U.S. Open starts on June 12th, with the Women's U.S. Open taking place the following week. Want to see more? 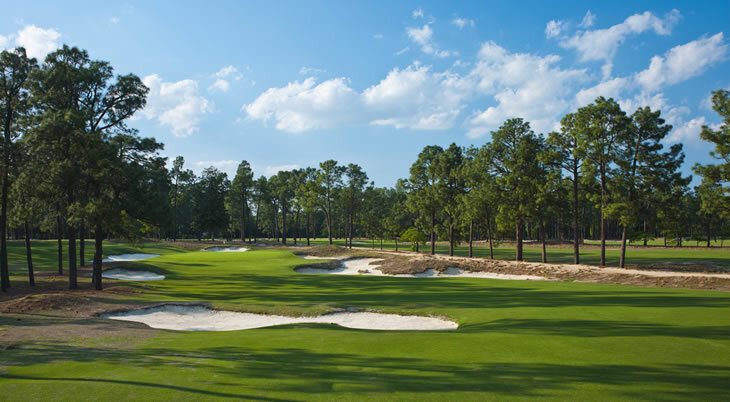 Why not read our in-depth review of Pinehurst No.2.